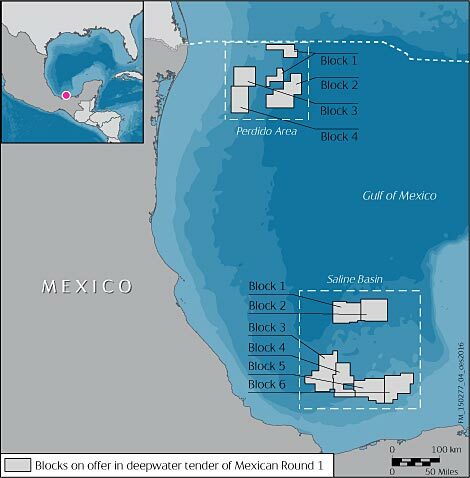 Statoil has been awarded blocks 1 and 3 in the Saline Basin in the Deepwater exploration tender in the Mexican Round 1. The blocks awarded are in water depths ranging from about 900 to 3,200 metres. The bid round is Mexico’s first ever tender for deepwater exploration acreage.